The objective of the research is to establish whether the diminishing supply of affordable housing opportunities available to lower paid workers in job rich central city locations is having an impact on central city businesses and on the overall productivity of these highly dynamic central city economies that are critical to the economic wellbeing of Australian international competitiveness. The research will be the first to explicitly consider this issue. The research adopts a multi-tiered approach. It will review census and other data as to the housing market position of the low income central city labour force in Australia’s three largest CBDs – Melbourne, Sydney and Brisbane. This will be followed by an in-depth study of the situation in the City of Sydney, who are the partners for the research. 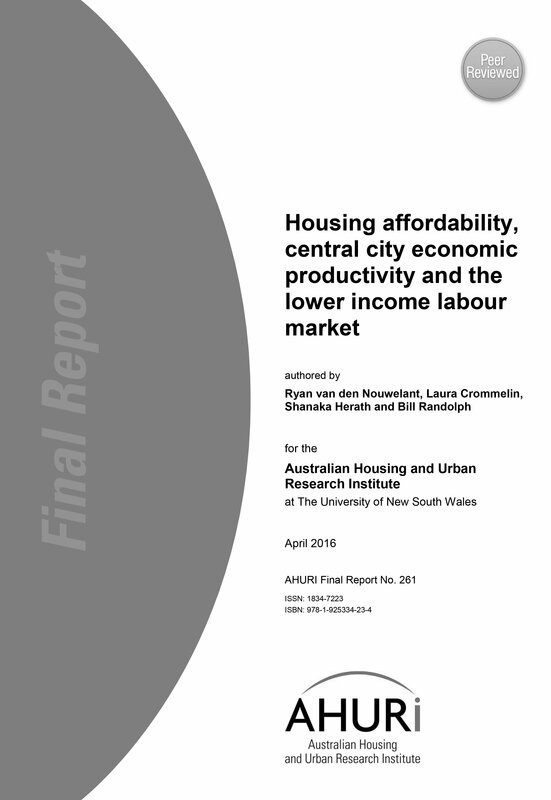 What is the current state of Australian and overseas practice in planning affordable housing for lower income central city workers? What is the extent of the spatial mismatch between job structure and affordable housing provision in the central labour markets of Melbourne, Sydney and Brisbane? Which employee groups are most affected and what is their housing experience in terms of affordability and location? Which employer groups are most impacted by this issue, what problems does this cause them and how do they deal with these problems? What role has the recent expansion of higher density housing in central city areas played in housing the lower income central city workforce? To the extent that mismatch is occurring, what are the broader implications for the stability, equity and efficiency of central city economy? What are the housing policy implications for the situation revealed by the research?